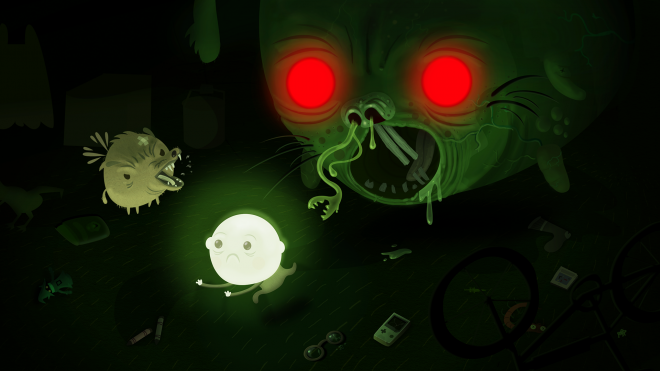 Bulb Boy is a sort of point and click adventure game. I say sort of, because it’s a little more unusual than your standard pointing and clicking affair. Firstly, the game has no dialogue whatsoever. Yes, gone are those endless chats with NPCs about a whole lot of nothing until they give up the item you are searching for. Secondly, Bulb Boy requires a little more skill from the player than just pointing and clicking, and in fact, I’m slightly ashamed to say my death count was apparently somewhere in the 50s. However, whilst these differences may pique the interest of gamers not usually enamored by traditional point and click games, they’re far from the most unusual thing about Bulb Boy. What the actual? – Gameplaywise, you’ll spend the most of your time locked in each of the rooms of the house trying to figure out how to move onto the next one. Collecting items and combining them with others to solve puzzles, in the usual point and click fashion. The game starts fairly straightforwardly, easing you into it by tasking you with turning off the T.V. and putting Grandpa’s false teeth away before you can head to bed. However, from there, the game becomes more surreal and about as crazy as a cheese dream mixed with a four-year-old on a sugar rush. Use your wits to fend off a giant headless chicken, and attempt to flush away possibly the biggest poo in the world. Often these sections require some reflexes, or you face a gruesome death. But you can take it on the chin, as there’s an achievement to find every death scene. As the game progresses, you’ll even take a trip, perhaps both figuratively and literally, through ol’ Grandpa’s intestines. To call Bulb Boy different, is putting it lightly. Oh so quiet – Not only is there no dialogue in Bulb Boy, but there’s also next to no soundtrack either. This creates an eerie atmosphere where the player truly is alone with only the hum of Bulb Boy’s glowing head for company. Bulb Boy is as he sounds, part bulb and part boy, giving the game’s art style a unique green glow similar to an old CRT monitor. Dark shadows create creepy hidden areas, and every footstep feels like you’re making too much noise in an otherwise silent house. Of course, the game isn’t completely without a soundtrack, becoming especially apparent during flashback sections, as Bulb Boy remembers happier times in his life to the tune of some deliriously upbeat tunes. 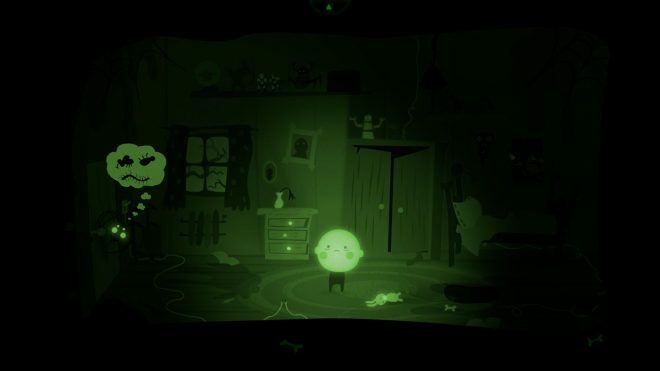 Touchy Clicky – With its spooky exterior, Bulb Boy can firmly find it’s place in the horror game genre. That said, it’s not without some genuinely touching moments. Most obviously the flashback segments showing inane yet treasured moments, such as a picnic or that time grandpa couldn’t stay awake long enough to do some chores. Even the more creepy a sections hint at a loving family somehow torn apart. 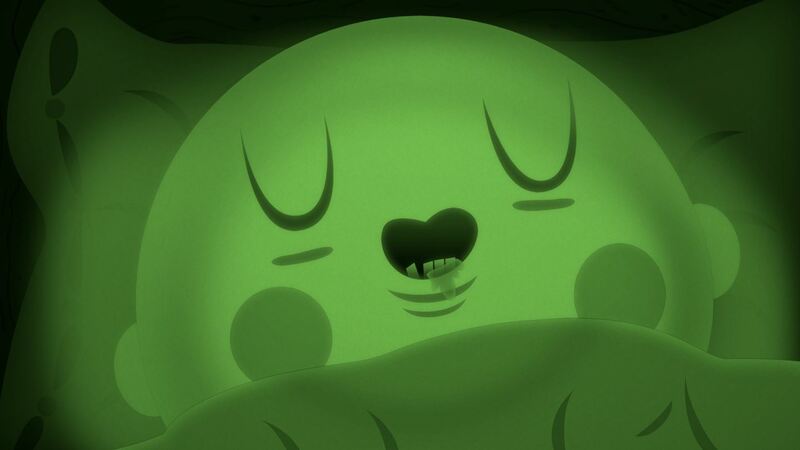 Bulb Boy may want to show off its scary moments, but there’s is a sentiment heart hidden behind the horror. 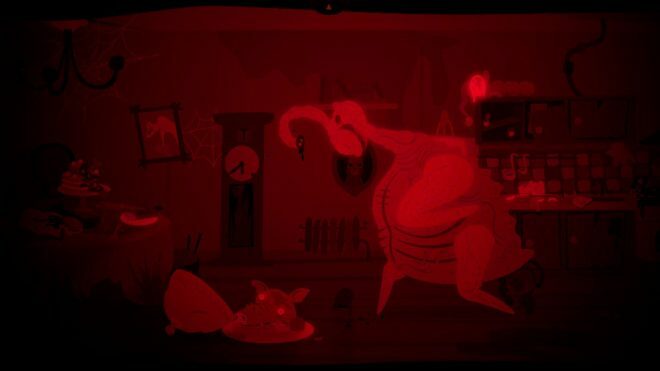 Bug Boy – Unfortunately during my playthrough, I hit a surprising amount of game breaking bugs. I had the biggest problems when facing a giant headless chicken, and after experiencing a large number of unnecessary deaths, I finally quit to dashboard. On restarting the game, however, I discovered that some items that had I previously not been able to interact with were now providing vital hiding spots. Similarly during another boss level, after interacting with an object, the screen didn’t return to where the action was. This glitch was a lot more obvious though and was thankfully resolved after another reboot. Despite a few issues with bugs, I enjoyed my time spent with Bulb Boy. On first appearances, it seems a little childish, but soon the trippy horror sections take you to a darker and deeper place. It is a relatively short game and can probably be completed in around two hours, or a little more if you want to go back and unlock any missable achievements, however, it is priced appropriately, and it would be a shame to miss this hidden curio. 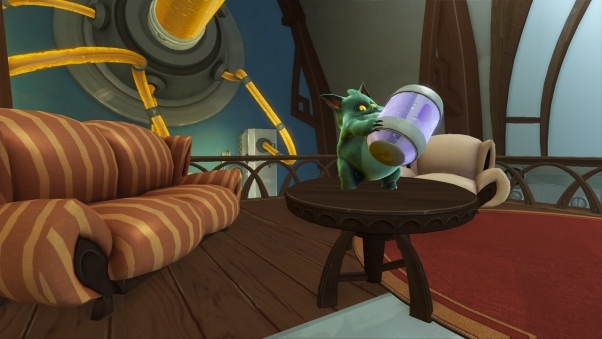 Bulb Boy was developed and published by Bulbware on Xbox One. It was released October 6, 2017, for $8.99. A copy was provided for review purposes.